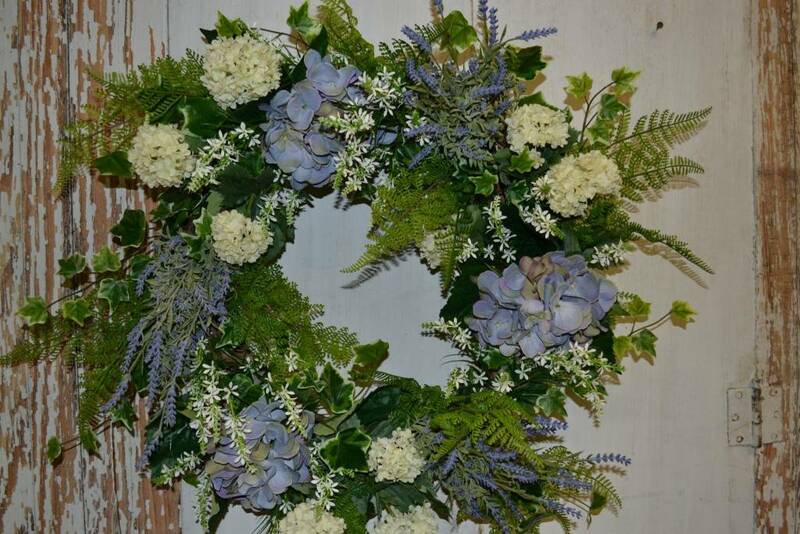 Light blue hydrangea blooms bring a garden fresh feel to this wreath! Complimented by delicate white and green florals along with lavender. The light blue and soft whites bring a elegant feel to this wreath! 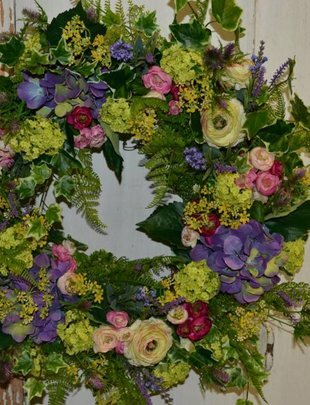 Make with high end silk artificial flowers! Made in Blowing Rock NC by designers of 30 Years!